Having seen the rising need for clean and fresh drinking water and preventing the risk of contact with disease-causing germs and lead contamination, Elkay improved and modernized the EZS8L3JO indoor cooler. This wall-mounted cooler is constructed to be aesthetically pleasing and solidly tough. It can chill 8 gallons per hour (GPH) at 50 degrees Fahrenheit. 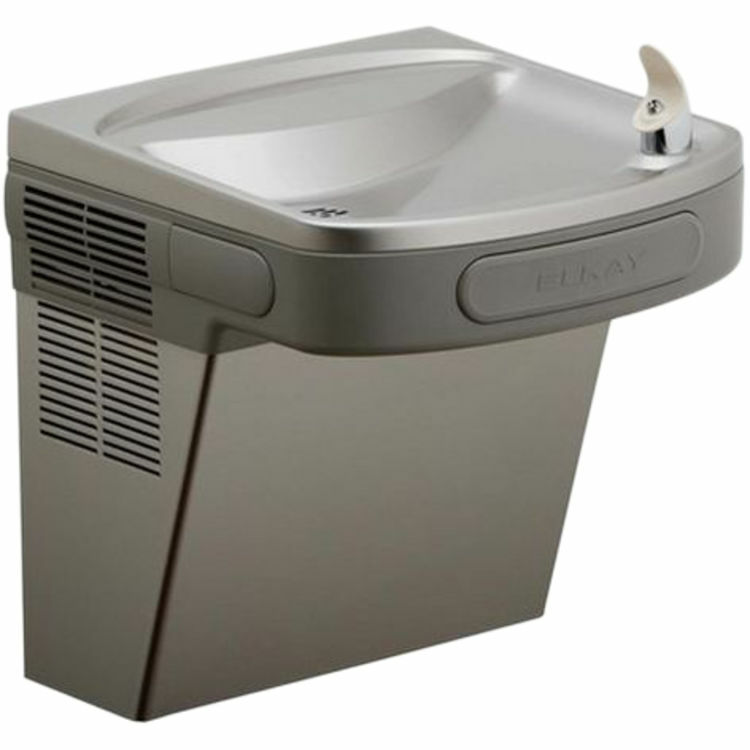 As an advantage, the cooler has the Flexi-Guard safety bubbler with push-bar activation that is easy to operate and is ADA-compliant. The bubbler has a flexible mouth guard with antimicrobial properties to lessen the risk of injuries and microorganisms. It delivers water at a constant stream of 20-105 psi with its built-in flow regulator valve. This Elkay EZS8L3JO cooler is designed with a generously sized basin to lessen splashing. It has an integral drain that minimizes the accumulation of grime and debris. This Elkay EZS8L3JO cooler enjoys a Limited Warranty, 5 years for the refrigeration system and 1 year from installation for the electrical components and water system. It complies with ADA & ICC A117.1, ASME A112.19.3/CSA B45.4, Buy American Act, CAN/CSA C22.2 No. 120, NSF 61, NSF 372 (lead-free), and UL 399 requirements and standards, ensuring your safety and health. Elkay wants you to experience only the best, combining eco-friendly and cost-effective measures with modern sensibility, always taking your health, style and quality of life into consideration every step of the way. Shipping Dimensions 20.9" x 20.0" x 24.8"